The ability of a material to supply heat by means of conduction is called thermal conductivity, which is defined by Fourier's equation. 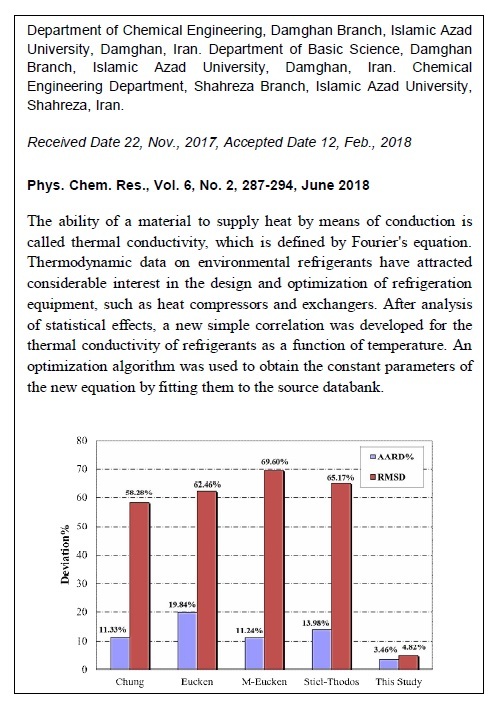 Thermodynamic data on environmental refrigerants have attracted considerable interest in the design and optimization of refrigeration equipment, such as heat compressors and exchangers. 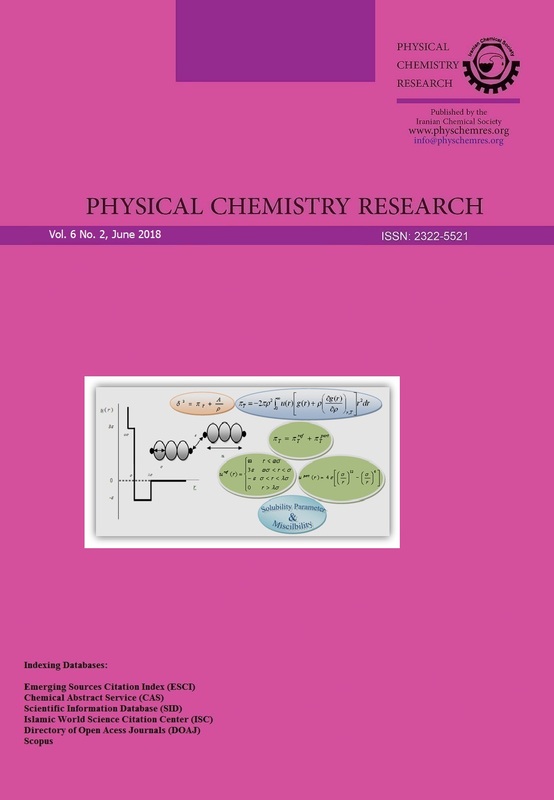 After analysis of statistical effects, a new simple correlation was developed for the thermal conductivity of refrigerants as a function of temperature. An optimization algorithm was used to obtain the constant parameters of the new equation by fitting them to the source databank. The accuracy of the presented equation was compared with commonly used models. Results indicated that the developed model provides more accurate results than those of other considered equations, with an average absolute percentage deviation of 3.46%.